Oranje Casino: 250 Free Spins PLUS 100% Match Bonus! 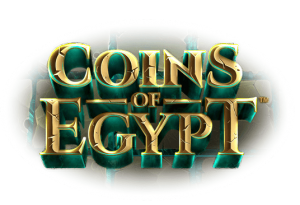 This huge welcome package is one for the slot fans with a massive 250 Bonus Free Spins to play on Coins of Egypt available with your first deposit at Oranje Casino! There is also a 100% cash match bonus worth up to €100. So you can maximise your cash and your fun at this multi-software casino! *Strictly for new players aged 18 and over. Please gamble responsibly. www.begambleaware.org. Bonus is exclusive to new Oranje Casino players. A minimum deposit of €10 is required. Bonus is valid for 30 days, and 15x wagering applies. The maximum stake allowed during the bonus is €6. Neteller and Skrill deposits are excluded from this bonus. Country exclusions apply, for the full list of excluded countries, please refer to the bonus terms and conditions. This casino looks good enough to eat! Well, maybe not entirely but it’s not bad looking by all accounts. Oranje Casino has been around for well over a decade, but they are still performing well and proving popular among diehard casino fans. Maybe it’s because they are part of the massive Betsson Group, one of the biggest igaming companies in the business! They are responsible for many successful casino brands including, of course, Betsson and Betsafe casinos. Oranje has a distinctive look which has been crafted to appeal to their target dutch-speaking players. In case you hadn’t guessed already, oranje actually means orange in Dutch, but you probably already figured that one out! They haven’t really changed all that much over the years, but they must have a winning formula as their players seem happy to stick around. The casino offers a wide portfolio of games with world-class slots and casino games from many different suppliers. The simple design and easy registration ensure you can be up and playing within minutes. The casino requires no download and can be enjoyed across desktop, mobile and tablet devices. Oranje Casino has a very uncluttered design making it all the more easy to start playing the games available. There is a great deal of choice available thanks to an impressive list of contributing software providers. In the mix are titles from Microgaming, NetEnt, Swissgame, Play ‘N Go, WMS, NextGen, Big Time Gaming and so many more, we can’t bring ourselves to list them all! But rest assured it’s an exhaustive list! Oranje features several shortcuts to allow you to navigate the various games on offer so you can quickly choose between Video Slots, Jackpots and Table Games. There is also a dedicated Live Casino with an impressive choice of live dealer games supplied by Evolution Gaming, NetEnt and Authentic. There is every table game staple you could need here! If like us, you want to get to grips with their slots collection, we have compiled a list of some of our favourites available to play at Oranje Casino: Primal Megaways, Book of Dead, Gonzo’s Quest, Extra Chill and Taco Brothers! There are also some huge jackpots up for grabs! Visa, MasterCard, Neteller, Skrill, Paysafe Card, bank transfer. Deposits can be made from €10. Withdrawal requests must be over €20 and will be subject to a one business day processing period. Transactions may take between 2-5 days depending on your chosen method of withdrawal. Oranje Casino offers daily customer support via live chat, email and also telephone, plus they have an extensive FAQ section. Their live chat facility is open from 11 am until midnight (CET). Claim Your 250 Bonus Spins! This new player bonus is available to both mobile and desktop players making a first-time deposit of €10 or more. The Oranje Casino welcome bonus includes a 100% match bonus worth up to €100, and 250 Bonus Spins to play on Coins of Egypt. Wagering applies. Oranje Casino makes one of the safest bets in the business thanks to its long-standing reputation and reliable back office team. They have many years’ experience under their belts, and it shows! Oranje going to take a look at this fresh online casino? Oranje Casino has been serving up world-class gaming since 2004!